​​I am JoAnn Flynn, a Licensed Professional Counselor, Expressive Arts Therapist, Registered Play Therapist, and former Special Education Teacher of 18 years. My child-centered approaches and unique training will offer valuable support to nurture your child's healing journey. ​Is your child struggling in school, having problems with relationships, or having power struggles at home? Is your child experiencing changes in the family as a result of divorce, illness, or loss of a loved one? Are you anxious about your child's wellbeing? My work is Child-Centered, Parent-Centered, Strengths Based, and Solution Focused. My advanced training as a Registered Play Therapist makes me uniquely qualified to support children ages 2-10. I have specialized training and multiple certifications including Trauma-Focused Cognitive Behavioral Therapy (TF-CBT). I also have in-depth training in mandala work and the use of numerous therapeutic modalities and approaches that will assist your child in managing challenging emotions, behaviors, and issues. As a former Certified Special Education Teacher, I have extensive first-hand experience advocating for children with school administrators, psychologists, social workers and classroom teachers. I am able to work with you to tailor the Planning and Placement Team (PPT) process to your child’s unique needs and I work closely with school professionals to ensure that appropriate educational services are in place to provide the best level of support for your child. My emphasis is on helping the whole child, while addressing problem behaviors. I know that as a parent, you are the expert about your child and we will work together. I also understand the intense challenges parents face in raising children. I provide parent support as we work to make positive changes in behaviors. With your input, we build on the strengths of your child to ensure success and resiliency. ​Together, we will create a customized plan with practical strategies for solutions to difficult problems. 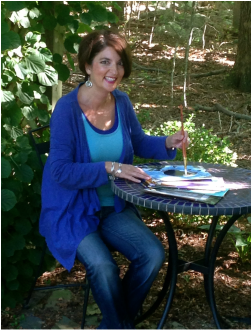 I have offices in two locations: Norwich and Old Lyme, Connecticut, both with play therapy space, sand tray area, and an expressive arts studio.